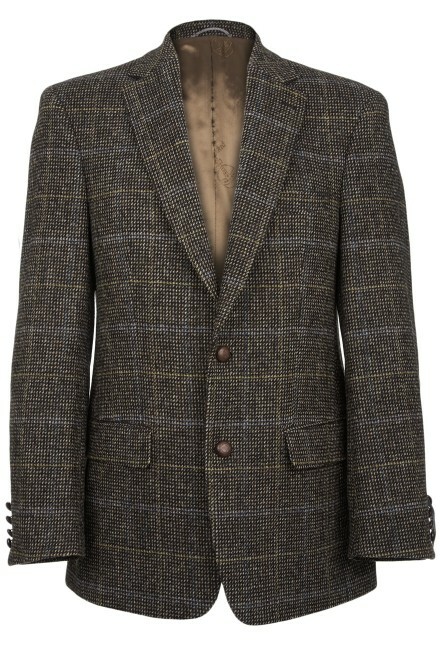 The Connoisseur is a two button Harris Tweed jacket in superfine lightweight Harris Tweed. This is a perfect casual jacket with a less structured shoulder. Like the Focus, the Connoisseur is a versatile jacket, suitable for use all year round thanks to the lighter Harris Tweed. With beautiful detailing, including leather buttons, soft suede elbow patches and undercollar, the Connoissuer is aptly named; this jacket meets the most exacting standards, and it shows.